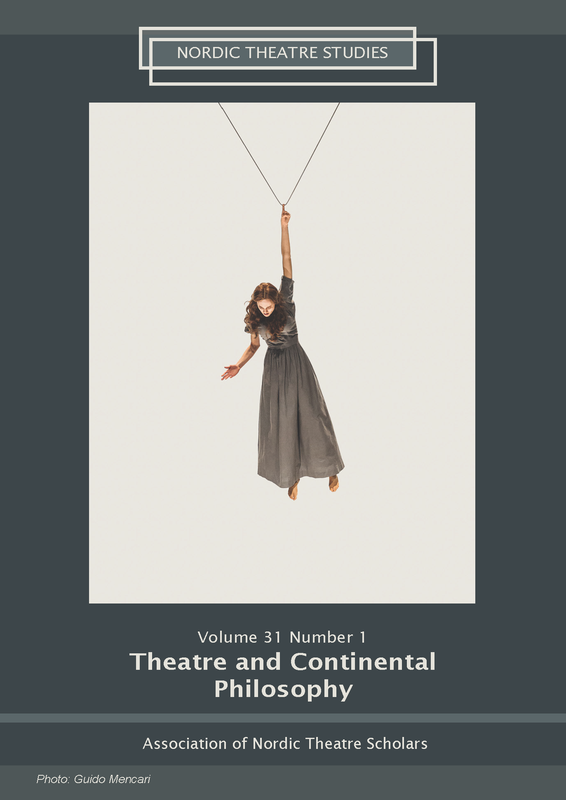 My contribution to the the NTS issue on Theatre and Continental Philosophy discusses a particular aspect of the complex intellectual and creative dialogue between the work and thinking of Walter Benjamin and Bertolt Brecht, beginning in 1929, the year they became close friends. Benjamin is no doubt the first critic of Brecht’s epic theatre, even planning to write a book about his artistic contributions. By examining the notion of the “Interruption” (Die Unterbrechung) and the sudden appearance of a stranger in three of Benjamin’s texts about Brecht’s epic theatre, I want to draw attention to Benjamin’s philosophical understanding of this ‘critical’ figure’ (the interrupting stranger), as one of the central aspects of the epic theatre. The essay is a prolegomenon for a more comprehensive study of this topic. Benjamin, Walter. 1977. “Was ist das epische Theater ”, Gesammelte Schriften, vol II, edited by Rolf Tiedemann und Hermann Schweppenhäuser. Frankfurt am Main: Suhrkamp, 532-539. Benjamin, Walter. 1996a, “Goethe’s Elective Affinities”, translated by Stanley Corngold, in Selected Writings, volume 1, edited by Marcus Bullock and Michael Jennings. Cambridge, Mass. : Harvard University Press, 297-360. Harvard University Press, 236-252. Benjamin, Walter. 1998. “What is Epic Theatre? [First Version], Understanding Brecht, translated by Anna Bostock. London/New York: Verso. Benjamin, Walter. 1999a. “The Author as Producer”, Translated by Edmund Jophcott, in Selected Writings, volume 2, edited by Michael W. Jennings, Howard Eiland and Gary Smith. Benjamin, Walter. 1999c. “Bert Brecht”, translated by Rodney Livingstone, in Selected Writings, volume 2, edited by Michael W. Jennings, Howard Eiland and Gary Smith. Cambridge, Mass: Harvard University Press, 365-371. Benjamin, Walter, 2002. The Arcades Project, translated by Howard Eiland and Kevin McLaughlin. Cambridge, Mass. : Harvard University Press. Benjamin, Walter. 2003a. “What is Epic Theatre? II”, Translated by Harry Zohn, in Selected Writings, volume 4, edited by Howard Eiland and Michael W. Jennings, vol. 4. Cambridge, Mass: Harvard University Press, 302-309. Brecht, Bertolt, 2015, “Messingkauf or Buying Brass” in Brecht on Performance, edited by Tom Kuhn, Steve Giles, and Marc Silverman. London: Bloomsbury. Butler, Judith. 2017. “When Gesture Becomes Event”, in Inter Views in Performance Philosophy: Crossings and Conversations, eds. Anna Street, Julien Alliot and Magnolia Pauker. London: Palgrave Macmillan, 171-191. Hölderlin, Friedrich. 1988. “Remarks on Oedipus’, in Essays and Letters on Theory, translated by Thomas Pfau. Albany: State University of New York Press, 101–108.